I like the proposed darktable noise. How does it compare to the current implementation at other “ISO” levels? One thing that I would find interesting is to see how other methods compare when applied to 10% and 90% gray images… I think that 50% gray is some sort of “special case” which is relatively simple to render with noise generators. Dark and light areas are instead trickier, because they are in reality generated by either very sparse or highly-dense grain distributions. To spot some differences one could look at the lightness histograms of the grain for 10%, 50% and 90% gray. 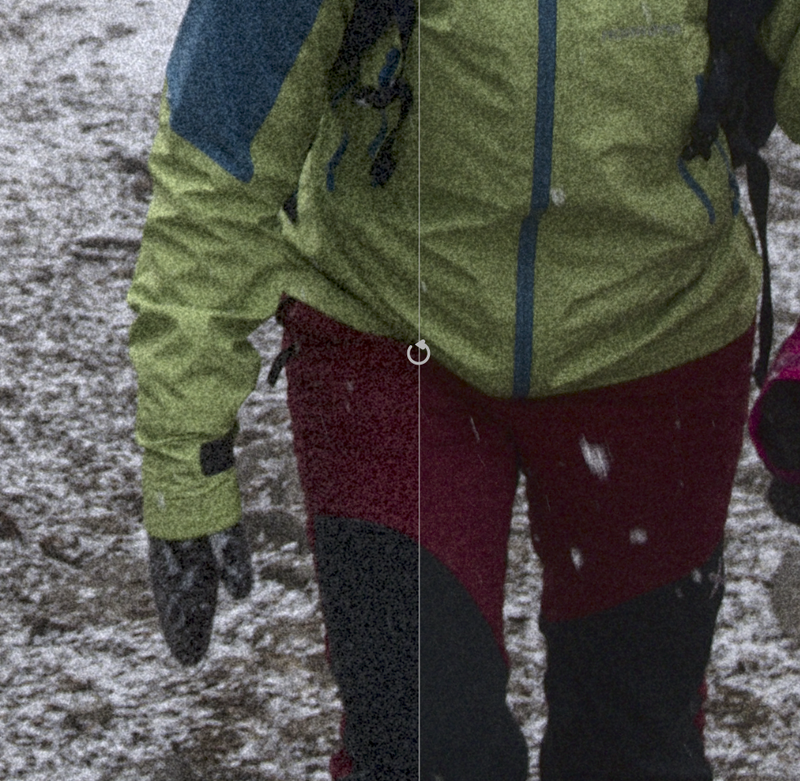 The darktable grain at 100% intensity has the following histograms. The 10% and 90% histograms look a lot narrower. I wonder if it would be nice to tweak them so that they match your grain @Carmelo_DrRaw, which is more sophisticated. It performs essentially in the same way since it is only a tweak of the weights and frequencies of the noise octaves. Here are the power spectra trends. For direct comparison here is the old implementation. @Carmelo_DrRaw, can I ask you a favor? I’m interested to see the full lightness profile of the grain. Why do you add the noise to the logarithm of exposure and not to the density of the film? I’m just wondering, maybe I don’t completely understand how the process works, because if the grain is in the film it should be added to the film, isn’t it? And also, when you say uniformly you mean the noise follows a normal gaussian distribution? Experimenting a bit with grain and thinking “well that’s an area where Lightroom still has an edge” (but honestly, I haven’t double checked and my memories may be a bit hazy; I should’ve made a comparison but tonight I’m lazy). Then I’ve found this thread and wow this truly deserves an article of some sort and to be put on the front page of the NYT or something. Apart from the blog post or article mentioned above, I also think that the online manual should be updated because as of now, it does not mention what is the midtone bias slider.